Comment	 Located in the constellation Ophiuchus the remarkable dark nebula known as the Snake Nebula slithers its way through a sea of stars. The nebula is more formally referred to as Barnard 72 (B72). In the early 20th century, astronomer E. E. Barnard catalogued 182 dark markings around the center of our Milky Way galaxy. Barnard's nebulae consist of interstellar dark clouds of obscuring gas and dust, blocking light of stars behind. 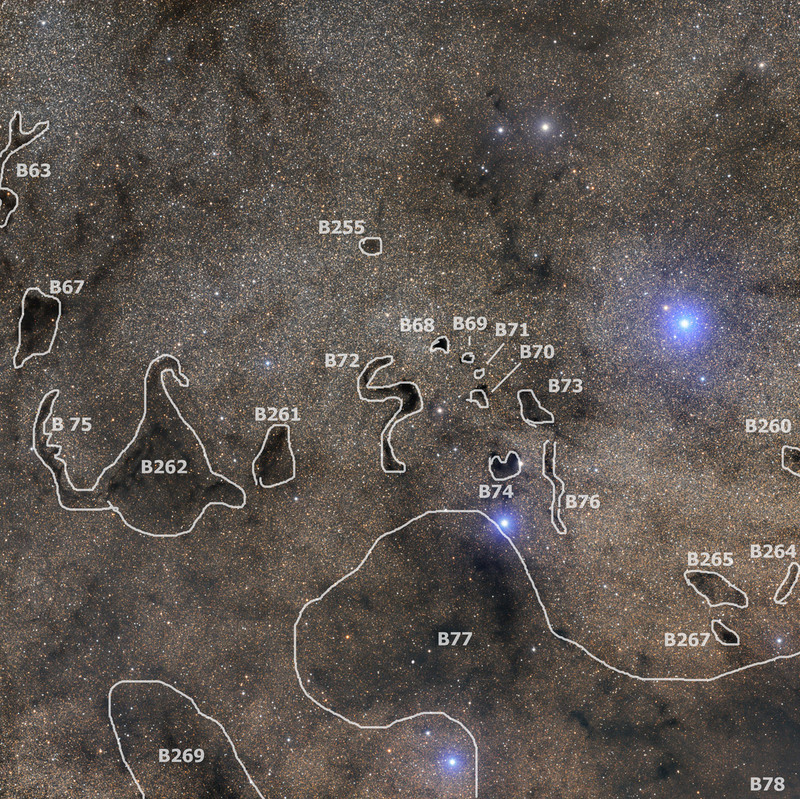 B72 resides approximately 650 light years away. The image is a RGB composite.